The Thailand Wildlife Conservation at the Gibbon Rehabilitation Project at the Khao Phra Taew National Park is a special place of interest should you be concerned with the protection of valuable resources. So when next on vacation in Phuket, why not take a leisurely drive to the northeastern part of the island because it's there where you'll find infinite rain forests and spectacular waterfalls as well as some incredible wildlife. The road leading to the national park is a scenic wonderland lined with rubber plantations and pineapple fields. Once you reach the park, you'll get to see first hand how some volunteers and the management store competence in gibbons so they can survive securely in the wild. Once inside, it's all jungle with several paths that cross over a small hilly enclave leading you through the thickly forested park and the habitat of wild boars and macaques, all of whom are keen to avoid any human contact. The jungle does, however, resound to the constant sound of chirping insects and the whooping calls of indigenous white-handed gibbons. Located within the park are the two waterfalls of Ton Sai and Bang Pae and the Gibbon Rehabilitation Project. To get to the Khao Phra Taew National Park from Phuket International Airport, you'll need to drive south along highway 402 towards the town of Thalang, located in the central part of the island. About four kilometres, just over two miles east of the intersection you will arrive at the visitor's centre of Khao Phra Taew National Park. It's Phuket's primary rain forest reserve. 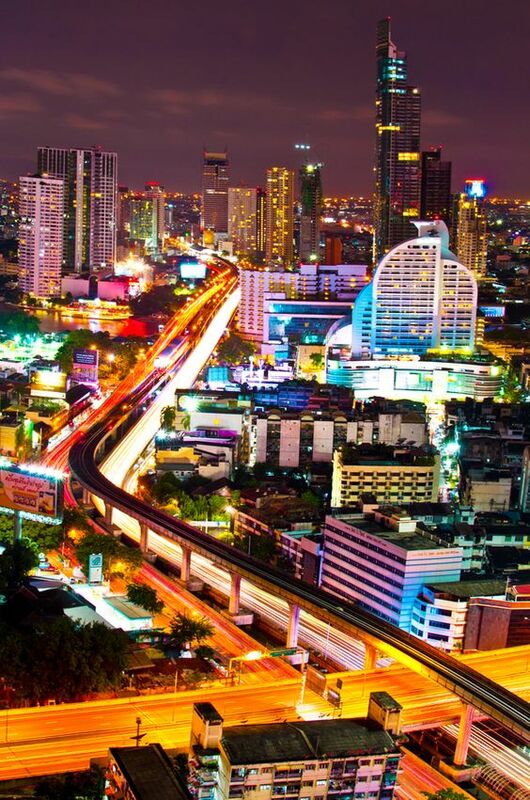 From Phuket Town, drive north along highway 402 towards the airport, then turn right onto route 4027. Standing on a roundabout is Heroine's Monument. From there it is about 10 kilometres (6 miles) to the Gibbon Project Entrance. It is not that hard to find. The Heroine's Monument was commissioned to commemorate the famous 1785 battle fought against the Burmese army near Thalang town. A short walk east of the monument is the Thalang Museum, which houses a few interesting exhibits outlying the rich heritage of Phuket. 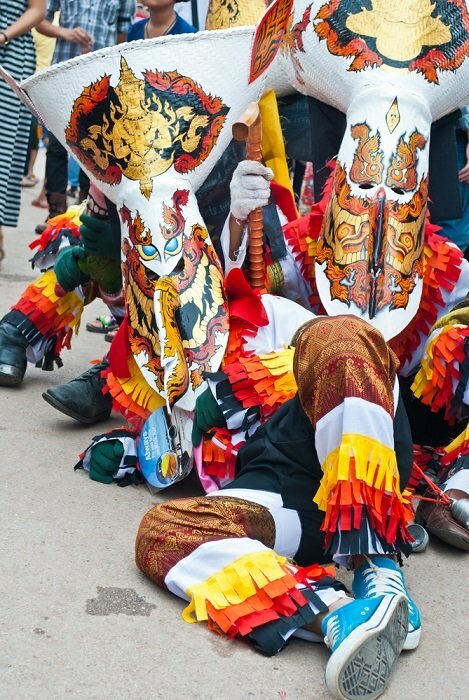 Items on display include 5th-century religious icons, Chinese porcelain, life-size figures recreated from the Burmese Battle, information on the sea gypsies known as chao ley and colourful folkloric history and photos of the masochistic feats of the vegetarian festival. If you're coming from Patong Beach, drive north along route 4030 towards the town of Thalang then follow directions as indicated above. The Gibbon Rehabilitation Project is an organisation wholly run by a group of volunteers whose primary role it is to re-educate and re-introduce domesticated lar gibbons back into the forest by encouraging them to fend for themselves. Isn't it disheartening that all over this beautiful planet of ours, there are foolish, downright loathsome as well as ignorant people keeping animals as illegal house pets? I refer to these gibbon poachers as pirate primate hostage takers. No matter what the hostage takers motives are, in many cases gibbons become severely traumatised by their experience as pets. Not only are they usually taken forcibly from their mothers, but they are also often abused by their owners too. Because gibbons make such charismatic pets, there are few of these particular primates left in the wild on Phuket island. The situation had become so dire that in 1992 it became illegal in Thailand to kill them, sell them or keep them as pets. They are now considered to be on the ever-growing list of endangered species. Despite all efforts to protect gibbons from unscrupulous poachers, you may come across a number of these pet primates around Phuket. They are usually kept on chains by their owners around bars, on street corners and some hotels as a form of immoral entertainment for thoughtless tourists as an absurd photo opportunity. Now that I have made you aware of what's actually happening here to these cuddly creatures, you can help by reporting any sighting you stumble upon to the Gibbon Rehabilitation Project. By all means take a photo, then send or email it to the wildlife conservation centre with details as to when, where and what you witnessed. I'm sure the centre will greatly acknowledge your concern. It matters not whether you come across gibbons in Phuket or anywhere else in Thailand. The entrance fee to the centre for foreigners is 200 baht but any extra donation would be greatly appreciated as the project receives nothing, nought, nada, zero, zilch, zip from the National Park itself. There is a small souvenir shop within the centre selling life-size cuddly gibbons and other related products. This may just be the right time to spoil your kids as all the proceeds go to a very good cause. The centre is open daily from 9:00 am until 4:00 pm. The last tour is at 3:15 pm. Visitors are hugely welcome at the project but please remember the whole point of the rehabilitation program is to minimise human contact with the gibbons. You are rarely allowed to admire these creatures from close up so be aware that you may have to view them from afar. There's an exhibition where volunteers will fill you in with a detailed study of the idiosyncratic habits of these gorgeous primates. This will enable you to better understand the aims of the project. If you follow the track right along the river from the Gibbon Rehabilitation Project on the eastern fringe of the national park, you'll soon arrive at Bang Pae Falls, a popular picnic and bathing spot. It is only about a fifteen-minute walk away. If you still have the energy to continue along the track you'll eventually arrive at Ton Sai Falls. It is, however, at least a one and a half hour walk away so if the tropical heat is a problem for you, you may want to give this one a miss as. I do believe that the climb, though fairly steep in places with rough underfoot spots, is not that difficult a climb. There is, however, plenty of places to cool off in the river on the route. Ton Sai is the more appealing of the two waterfalls. If you ever come across a gibbon chained up such as the one in the photo below, please be sure to note what you saw and then report it to the right authorities. You have your freedom so why should these gibbons not have their freedom too. Doi Inthanon encompasses the highest mountain peaks in Thailand and has several types of fauna and flora, waterfalls and a wide range of animal life such as leopard, Pangolin and flying squirrels. There are several bird species such as a hawk, eagle and Eurasian woodcock. Khao Sam Roi Yot is a small coastal park located on the narrowest part of the Thai peninsula overlooking the Gulf of Thailand. Its interior is home to animals such as monitor lizards and macaque while the wetlands provide a sanctuary for migratory birds from Siberia. Khao Yai is the oldest park in Thailand. It's a mix of evergreen and deciduous tree forest with grasslands and scrub as its secondary growth. Wildlife roams its interior, including endangered species such as elephants, tigers, leopards, white-handed gibbons and sambar stags. Khao Sok is the largest and most dramatic tract of virgin rainforest in southern Thailand. The peaks rise to spectacular heights while the forest helps protect the population of elephants, bison, jungle cats, wild dogs and other endangered animals as well as many bird species. Khao Lak stretches across several scenic strips of sandy upper Andaman coastline. The region is particularly famous for its spectacular scenery of steep rainforested ridges that extend down to the winding coast. An elephant trek to one of the waterfalls is a must. Ang Thong is a small group of islands spread over part of the Gulf of Thailand west of Ko Samui. The region is popular for its beautiful beaches, limestone caves and abundant wildlife. Canoeing and snorkeling are a major attraction here. Ko Tarutao is an archipelago near the islands of Langkawi in the Andaman Sea. The diving sites here are considered to be among the best in the world. There's a rich concentration of tropical fish and sightings of whales as well as dugongs and dolphins are a common sight.